At MPN, we know very well that finding the right type of partnerships is key to finding success in today’s incredibly competitive market. Some partner combinations meld together wonderfully to create truly satisfying success, and in an effort to help you find the right mix, here’s an example of a partner recipe we know works: ISV and channel-based MSP partners. Once the IP was packaged, tested, and ready, all that was left to do was to get that great solution to the global market—and that’s when QUADROtech approached Australia-based partner Insentra. As a channel-based MSP, Insentra connects vendors and partners and has built a very robust channel in the Asia-Pacific (APAC) region. Through Insentra, QUADROtech was able to exponentially extend its reach in a very large geographical area, though it had no physical presence there. As a channel-only business, Insentra was able to bring QUADROtech’s offering to market through their 150-partner channel in the APAC region. With a little help from a channel-based MSP, an ISV partner can earn greater reach for its IP solutions. For example, QUADROtech’s email migration solution gets into the hands of channel partners throughout APAC, a region where they have no physical presence. Plus, QUADROtech only has to work with one partner, reducing the need for partner management. On the other hand, partnership with an ISV can lead to an expanded partner channel for channel-based MSPs. For Insentra, QUADROtech’s solution opens a door to new partners and customers seeking a solution to their email migration problem. Insentra is able to build its partner network, and leverage that network to sell its other services. “We get to continue to build our reputation as being one of the best channel-based service providers,” says Simon Altit, Director – EMEA at Insentra. Partnerships between ISV and channel-based MSP partners open doors for even more partners to meet customer demands with little or no additional investment. Insentra’s channel partners may not have the depth of skills necessary to provide third-party email archive migration services to customers, and they aren’t necessarily interested in investing to develop skills in such a niche space. But thanks to the Insentra/QUADROtech partnership, they’re able to provide email migration to their customers and earn margin. For customers, innovative partnerships between ISV and channel-based MSP partners mean more technology solutions for their business problems. Not only do QUADROtech’s solutions solve complex email data migration issues that go beyond the scope of the FastTrack Centers, but the combination of their IP and Insentra’s services gives customers a more affordable option, with access to Insentra’s expertise in Office 365 as an added bonus. Plus, through its channel partners, Insentra is able to help customers unlock advanced workloads and capabilities, deepening their usage of the solution and the value they get from it. Just since September 2015, QUADROtech has closed numerous deals in Australia alone, thanks to its partnership with Insentra. The secret ingredient that makes their partnership so successful? Communication. “If one partner has feedback, they need to feel comfortable that they’ll be heard and their partner is able and ready to respond,” Dan says. The well-established communications between the two companies has also allowed them to grow, scale, and evolve together. Meanwhile, QUADROtech keeps Insentra informed of the development roadmap for solutions so they can be ready in advance of changes and upgrades. By continuing to communicate and stay in touch, the two partners have created a five-star relationship. If you’re ready to build a partnership and grow together, be sure to join us at the Worldwide Partner Conference and take advantage of the networking opportunities with Microsoft execs and with other MPN partners. In the meantime, check out the resources available to you on our Online partner community page. 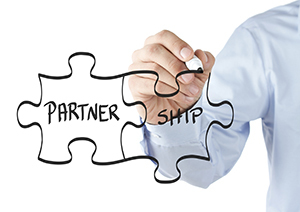 What’s your recipe for partnership success? Share it with us on our Facebook page!